I was once at a conference where the speaker on stage was talking about rank tracking and gleaning insights from rankings. Small business owners sat there dutifully and took notes on the common tools he recommended. The speaker was dumbfounded. They had never thought about SEO on that scale before. And fair enough, because they primarily work with local businesses. Enterprise SEO is so different from local or even SMB SEO. You’re working with bigger budgets and operating on a scale that small sites can’t fathom. You’re investing in things over the long term and probably working with multiple agencies and teams of specialists to get things done effectively. If you’re fortunate, then you have an SEO team internally as well. You might be working on a huge site like Zillow, or maybe you’re a B2B company that you’re really just trying to rank for some super competitive keywords while also getting buy-in to produce content that drives leads and results. The typically recommended SEO platforms like Moz won’t get you there. They’re great for what they do, but they’re not geared towards you. So what are the best SEO tools out there for the enterprise, and what SEO platforms should you be looking at to suit your enterprise needs? First, let’s explore quickly the difference between a platform and a tool. It might seem straightforward, but in reality many SEOs tend to collapse them together. It’s helpful, in my opinion, to define what we are talking about before we talk about it. A platform in the context of this post is a mix of tools all combined under one roof. A technical SEO platform may have a reporting suite, a technical SEO suite, a content research and marketing suite, a backlink tracker, and more. Platforms are incredibly useful in enterprise SEO because all of the data you need is pulled into one place, which makes reporting much easier. Platforms are, of course, more expensive than any one tool because they offer so many tools in one place. A tool in the context of this post is meant for a singular thing. Platforms are comprised of multiple tools, but a solo tool might be a website crawler like DeepCrawl which does one thing really well – crawls your site looking for technical SEO errors. You can’t track rankings in DeepCrawl, but you can integrate with Google Search Console, Google Analytics, and more. With that out of the way, let’s get to the best enterprise SEO platforms and tools. There are three enterprise SEO platforms that we recommend to enterprise companies based off their needs and budget. Conductor’s Searchlight has long been the gold standard in SEO platforms for the enterprise. Built out of New York City (and they are now owned by WeWork), we’ve known the Conductor team since 2011 and had multiple clients on their platform. They have a client services division that does great strategic SEO work with their enterprise clients to also augment the insights that the platform helps you gain and execute on. We highly recommend Conductor Searchlight. 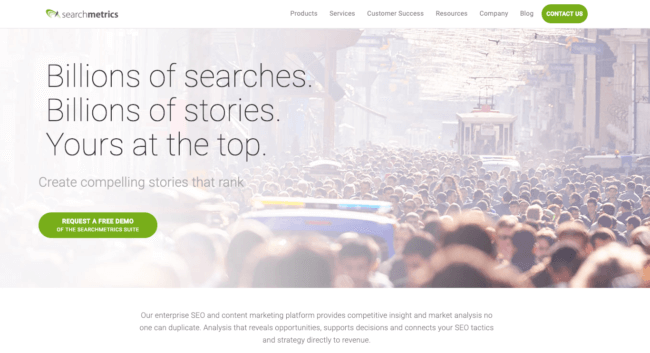 SearchMetrics is built out of Germany and San Francisco. They claim clients like TeeSpring, Barclays, Trainline, and more which shows you they can deliver. They are a primarily technical SEO platform that also helps you tie back your SEO initiatives to revenue and the metrics that drive your business forward. They track your site’s health, site visibility, and more to help you show how your site is doing in aggregate, and also provide you insights on how to improve. They, like Conductor, also have a client services division to help you use their platform better and get better results. SEMrush is one of the industry leaders of SEO platforms, though they message themselves as a “Marketing Toolkit”. More realistically, they are an all-in-one search marketing platform that gives you insight into both paid and organic results and opportunities. They’re foremost a data company, and the majority of the value they are able to provide comes from their massive keyword database. In the past year or so their product development has also accelerated and they have released Campaigns to track technical issues and keyword rankings, a phenomenal keyword research tool called Keyword Magic, and much more. Pricing starts at $99/mo, but for large websites it is custom. Keep track of citations and links. Moz is definitely a major player in the enterprise multi-location SEO space these days. 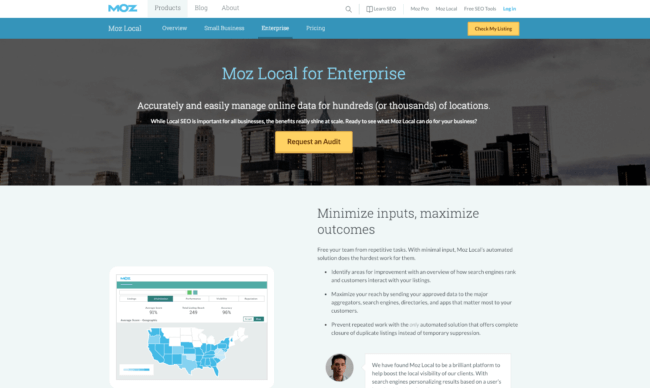 Pricing: Moz Local pricing is a bit complicated. You pay per location at $99, $179, or $249 per year (based on service level), but if you want to buy more than 100 locations then you need to speak with their sales team. (This is what their support team told me). Their pricing page is here. 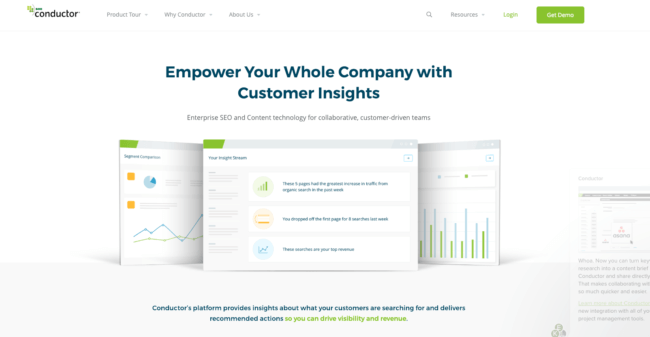 Other enterprise platforms include Brightedge, Sistrix, and SEOclarity. There are many SEO tools out there that can be used for enterprise SEO, but these are the ones we recommend for each needed area. Screaming Frog is an industry mainstay and standard, and we believe that every real SEO should have a Screaming Frog license. At ~$150/yr, it is the best value in the industry. They integrate with Search Console and Google Analytics to bring you insights as well. But to crawl a large site and consistently crawl to keep on top of changes on your site to fix, you probably need a cloud-based crawler. For that, we recommend DeepCrawl which is a cloud-based crawler where you can schedule crawls and go deep into your technical insights to uncover technical issues holding back your (likely very large) website from ranking as well as it should. Honorary mention to Botify here, a DeepCrawl competitor. For backlink research, there are two tools that stand out above the rest. Link Research Tools is built out of Austria and helps you identify new potential links, track the health of your links, clean up bad or negative link building done towards your site in the past (or present), and even help you recover lost link equity because of 301s, 404s, or other site errors. The best link index out there, in my opinion, is Ahrefs. 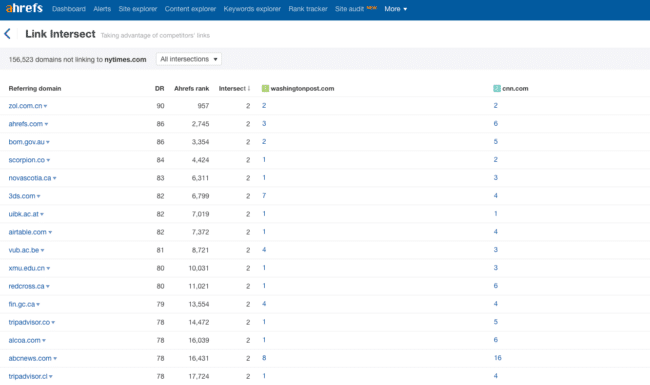 Ahrefs is definitely a competitor to SEMrush mentioned above, but their link index is vast and in my experience finds the most links pointing to your site. Because they do this for your site, they also do it for your competitors which helps you identify links they have that you should also earn. Finally, SEO doesn’t work unless you have links pointing into your site. While we are a fan of content marketing here at Credo to earn links to help you rank, you have to promote that content in order to really win. The two best on the market are Pitchbox and Buzzstream. Many agencies like to use Buzzstream because it is built for them, though they also pitch themselves as a “digital PR” tool to help you get the links that really matter. Pitchbox is a slightly newer entrant to the market, but they have quickly established themselves as a player. Buzzstream markets themselves as “Link Building and Digital PR tools”, which really means that they want to help you “Research influencers, manage your relationships, and conduct outreach that’s personalized and efficient.” to help you build links. Pitchbox positions themselves as an “Influencer Outreach & Content Marketing Platform”, which really means they help you prospect and find contact information and then send emails to those people. They also provide great reporting, and people love their easy-to-use interface. We recommend taking both for a test drive to see which suits your needs more. Kind of like choosing a project management tool (Asana? Basecamp? Trello? ), choosing an outreach tool is pretty personal. An honorary mention goes to Linkdex here, which we have not personally used. What other enterprise SEO tools have we missed that you use?